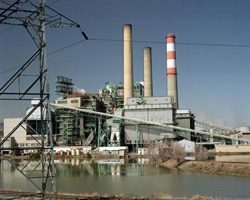 Too Many Concessions in New Climate Bill? The American Power Act sets a national goal for reducing greenhouse gas emissions. And it would stop states from setting their own greenhouse gas standards. 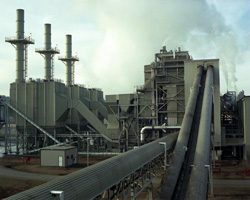 It also provides billions of dollars to the coal industry to develop carbon capture technology. And it encourages more offshore drilling by offering states a share of royalties. So far – despite the concessions – no republicans have stepped forward to support the bill. The next time you’re near your cupboard, check for kosher food items. The packages have specials symbols, like a “U” or a “K” with a circle around it. The kosher label shows Jewish people the food was prepared with ingredients that meet religious guidelines. Shawn Allee learned rabbis had to work overtime to keep kosher food separate from the byproduct of an alternative fuel. The world of futuristic alternative fuels got tangled up in ancient Hebrew food laws. To understand how, I talk with a rabbi in the know … Sholem Fishbane of Chicago’s Rabbinical Council. To start, I admit I don’t understand the key word: ‘Kashrut’ in Hebrew … or ‘kosher’ in English. For example, in the Hebrew Bible, pigs are unclean, so pork’s not kosher. So, you separate kosher food foods from non-kosher foods and even each other at times. Well, Rabbi Fishbane’s job is to keep all this straight at big food factories. He inspects food equipment and ingredients. 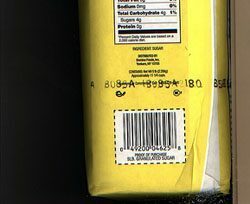 If everything’s kosher, he lets factories use the little “K” character on packages. So, a few years ago, Rabbi Fishbane was at this factory, inspecting paperwork. Until … he saw glycerin prices plummet, and his factories substituted it for more expensive ingredients. So, Rabbi Fishbane dialed up a teleconference with other rabbis. They noticed the same thing … loads of cheap glycerin hitting the market. This is one of the other rabbis on that conference call – Abraham Juravel of the Orthodox Union. Glycerin keeps food sweet or moist. It’s a clear, slick goo … and it’s made from oil or fat. Rabbi Juravel started tracking down the source for all this new glycerin. After some detective work, he found it was coming from factories that make biodiesel. Biodiesel is an alternative fuel made from oil or fat. Several years ago, new biodiesel factories were popping up and they looked for whatever fat they could find … kosher or otherwise. Again, if the oil’s not kosher … neither is the glycerin and whatever food glycerin goes into. There is a happy ending here. Rabbis worked overtime to keep non-kosher glycerin out of the kosher food supply, but they actually made biodiesel operations part of the solution. Some factories switched to all-kosher oils, so now their waste guarantees a steady supply of religiously pure, kosher glycerin. President Obama’s visit to the Corn Belt is highlighting a tough debate about the future of corn-based ethanol used in our cars. 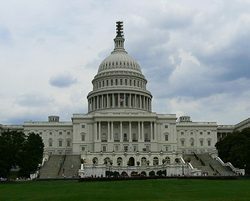 Congress is looking to cut the federal budget and one target is a key ethanol subsidy. It’s a tax credit of about 4 and a half billion dollars, and it runs out by the end of the year. Ethanol trade groups are fighting to extend that credit. Tom Buis is CEO of Growth Energy. He argues … we spend plenty of money for overseas oil … why not support home-grown ethanol? Last year the Government Accountability Office questioned whether we need this particular ethanol tax credit, since the government requires gasoline refiners to blend-in billions of gallons of ethanol anyway. 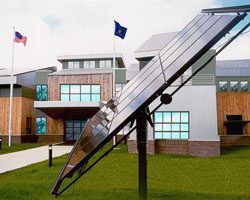 The Environmental Protection Agency puts on what it calls a “green power challenge” among colleges each year – who’s using more renewable power such as solar, wind, and geothermal. This year, the Ivy League beat out the Big Ten to come in first. The University of Pennsylvania was the top winner. 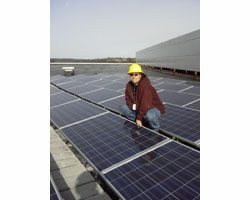 Blaine Collison directs EPA’s Green Power Partnership. He says colleges and universities can have a lot of influence with utility companies. But in this competition, there’s a lot of room at the top. Only 54 schools were purchasing enough green power to qualify for the challenge. Whitetail deer have adapted pretty well to the suburbs. But… it means a lot of car-deer accidents. It also means deer munching on tulips and shrubs. Some people consider them pests and want to get rid of the deer. But instead of simply killing them, one city has decided to capture and sterilize a number of does. Adam Allington reports, the results might point toward the future of urban wildlife management. Whitetail deer have adapted pretty well to the suburbs. But… it means a lot of car-deer accidents. It also means deer munching on tulips and shrubs. Some people consider them pests and want to get rid of the deer. But instead of simply killing them, one city has decided to capture and sterilize a number of does. It’s a crisp night in Town and Country, Missouri…home to some 10,000 souls…and about 800 deer. Joel Porath is a wildlife regional supervisor for the Missouri Department of Conservation. Just like humans, whitetails he says, are right at home in the quiet cul du sacs of suburbia. Lynn Wright sits on Town and Country’s board of aldermen. Despite the accidents she says most folks like seeing the deer around…kind of reminding them that they don’t live in the city. The car accidents were a problem, but Wright says people also complained about damaged trees and landscaping. Still, the town resisted the easiest solution—to just hire sharpshooters to come in and kill all the deer. Instead, they explored alternative methods…this is sound from a department of conservation video…it shows four deer eating corn in a back yard…just then, a large dropnet is released…sending them into a flailing frenzy until technicians rush in with tranquilizer shots. The deer are then brought to Steve Timm. Timm is a veterinarian with White Buffalo Incorporated. Its a company that specializes in sterilizing deer. Timm operates out of a small eight by sixteen foot trailer… When the does arrive they’re hoisted on to an operating table and prepped for surgery. The whole process takes about 20 minutes. 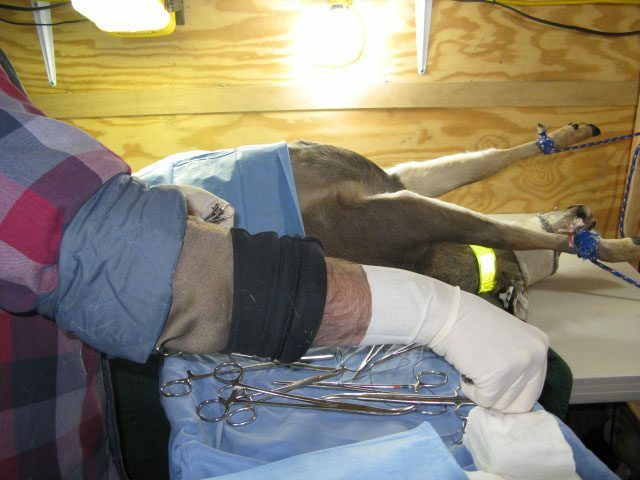 The deer are then stapled up, fitted with reflective collars and released. Timm says the theory is simple—fewer fauns mean less deer eating shrubs and running into cars. But not everyone backs the sterilization approach. Joe Williamson is a retiree who loves to garden. 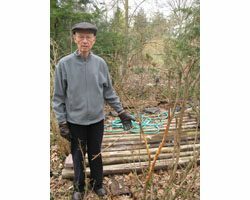 Walking around his yard he points out flowering magnolias, yews, Japanese maples…basically, a kind of all-night deer buffet. 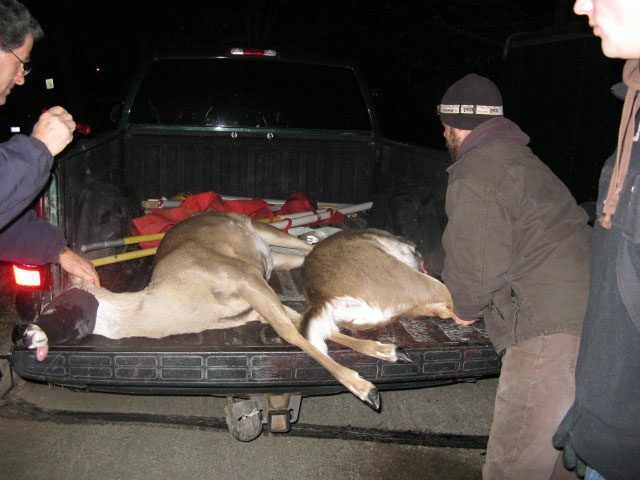 Williamson says sterilization does nothing to solve the immediate problem of too many deer. It’s also much more expensive. Town and Country paid White Buffalo 150-thousand dollars to sterilize 112 does, and kill another 100. But, Joel Porath of the Department of Conservation says in the end, the best solution may involve sterilizing some deer…and killing others. By the end of spring Porath says the department should have enough information to see if sterilization makes sense for other suburban areas. 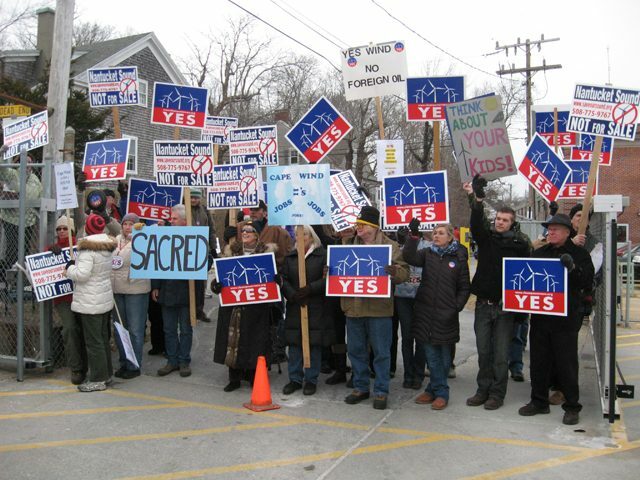 A decade-long fight over a proposed wind farm off the coast of Massachusetts could be over soon. It’s called Cape Wind. U.S. 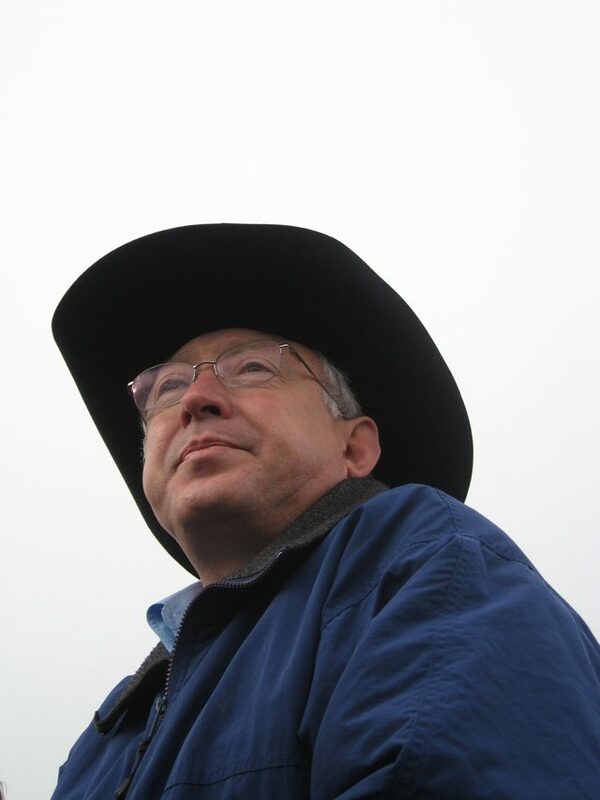 Interior Secretary Ken Salazar says he will make a decision by the end of April. What would be the nation’s first offshore wind farm is bigger than a simple “not in my backyard” issue. It has divided communities and even neighbors. Curt Nickisch met two people, who’ve come down on opposite sides – both for environmental reasons. A decade-long fight over a proposed wind farm off the coast of Massachusetts could be over soon. It’s called Cape Wind. U.S. Interior Secretary Ken Salazar says he will make a decision by the end of April. What would be the nation’s first offshore wind farm is bigger than a simple “not in my backyard” issue. It has divided communities and even neighbors. Curt Nickisch met two people, who’ve come down on opposite sides – both for environmental reasons. At 63-years-old, Bill Eddy has old-man-and-the-sea white hair. 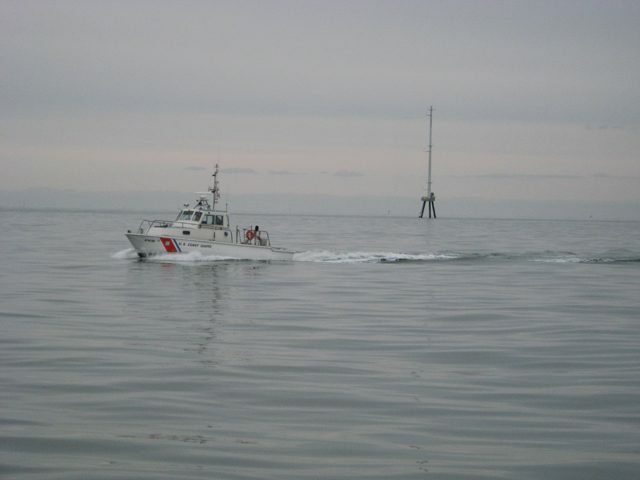 He’s been sailing all his life, including the waters where the 130 wind turbines would go up more than five miles offshore. He knows the wind’s power. And he’s willing to give up part of the horizon he loves for clean energy. Cape Wind would generate three-quarters of the electricity used by Cape Cod and the islands of Nantucket and Martha’s Vineyard. Bill says it’s time for residents here to share in the sacrifice for the energy that drives modern life. 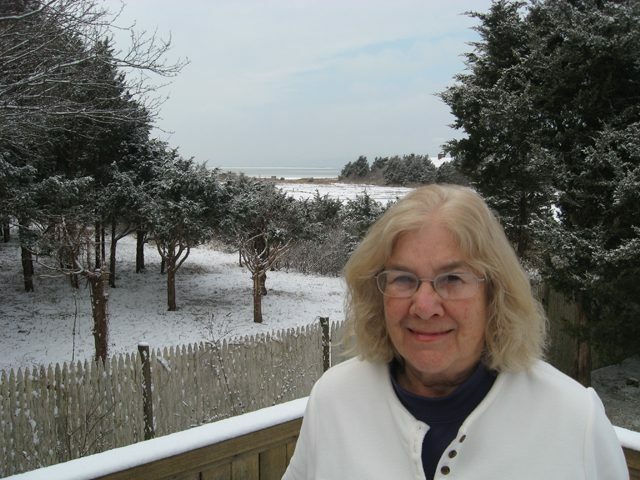 Martha Powers is just as passionate about Cape Wind, but she’s against it. She lives by the water, too. As a kid, Martha spent summers here. Now she’s a librarian with graying hair. She keeps binoculars by the back porch for birdwatching. Mainly, Martha’s worried about the birds that will be killed by the spinning blades of the wind turbines. Her Christmas card this year was a photo of a chickadee perched on her finger. 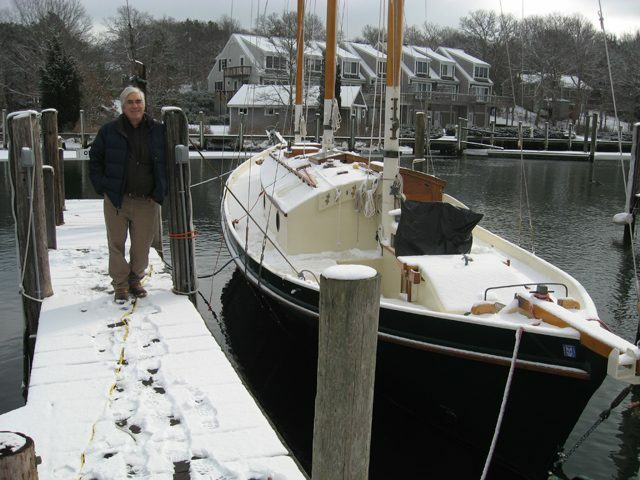 A few miles away, Cape Wind supporter Bill Eddy says it would be hard for him to accept the project not going forward. Whether that evolution starts off of Cape Cod will be up to someone in Washington. Interior Secretary Ken Salazar says the nation will move ahead with wind farms off the East Coast. But since people like Bill Eddy and Martha Powers can’t agree, Salazar will decide whether Nantucket Sound is the right place to start. For The Environment Report, I’m Curt Nickisch. 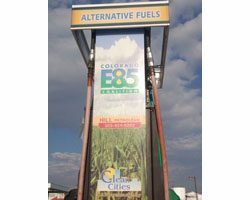 For a long time, corn growers and the corn ethanol industry have claimed their fuel is low carbon. That is, it’s lower in the greenhouse gas emissions that contribute to global warming. Lester Graham reports… a second study is out which disputes that claim. 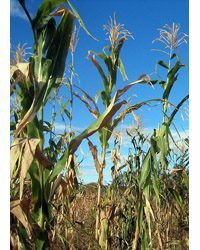 This study published in the journal BioScience also found corn is being used for ethanol instead of exported to other countries. Those other countries are plowing up grasslands and rainforests to plant corn for food. Less rainforest means less CO2 is being taken up by plants. Thomas Hertel is a researcher at Purdue and lead author of the new study. He finds ethanol from corn is not a low-carbon fuel when you include that indirect effect. But, political interests in Washington are working to extend corn ethanol subsidies which are set to expire at the end of this year.